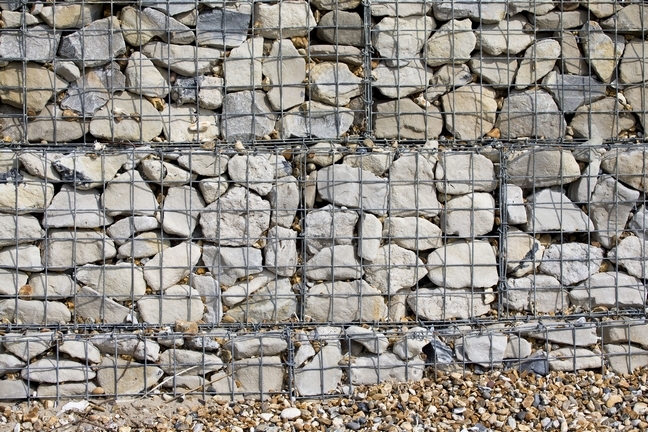 Gabions are steel mesh cages filled with rocks (riprap) or concrete. The strange name comes from the Italian word for a big cage, gabbione so, there you go, some Italian togowith your geography! Gabions are used for many engineering tasks, but are particularly useful for defending the coast against erosion. They are strong, permeable, easily contructed on site,and can be made in any shape to fit the situation. Because they are slightly felxible and are filled with rocks that have gaps between them, the energy of the waves is partly reflected and partly absorbed by the gabion, making it resistant to erosion whilst remaining very strong. 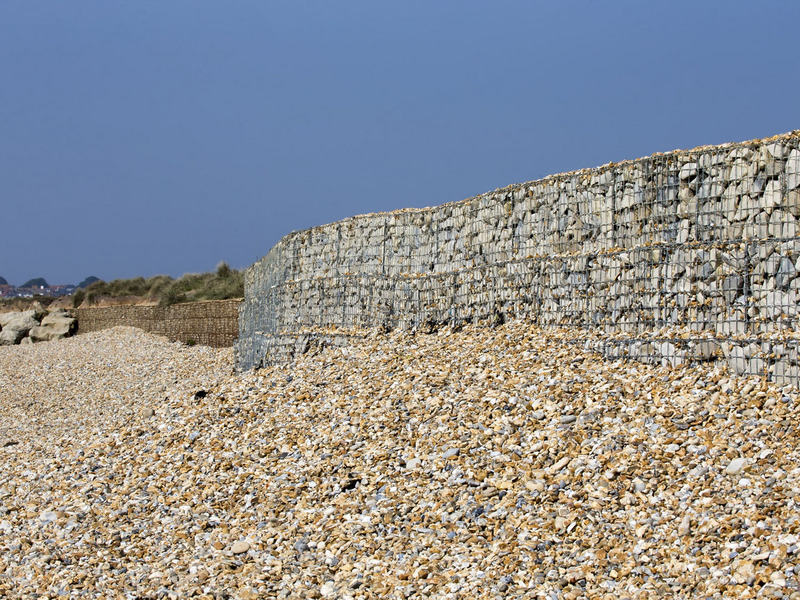 Gabions are particularly useful where the natural coast is composed of soft, easily eroded rocks, and there is a desire to use a form of coastal defence that will flex and change shapes lightly as the soil subsides or shifts. A concrete wall can easily be undercut if it is on soft rock because it cannot flex or move. Because a gabion is a cage full of rocks, it can distort slightly and fill small gaps created beneath it. Gravel, sand and soil can also become trapped in the spaces between the rocks, making the structure stronger and helping it to blend into its surroundings. Gabions,like the one in the photograph at Hengisbury Head, are expected to last between 50 and 60 years. It’s the wire that determines how long they last, not the rocks.